This refers to swelling that generally occurs in one of your arms or legs. Lymphedema tends to affect just one arm or leg, but sometimes both arms or both legs may be swollen too. This is caused by a blockage in your lymphatic system, an important part of your immune and circulatory systems. The blockage prevents lymph fluid from draining well, as the fluid builds up, the swelling continues. 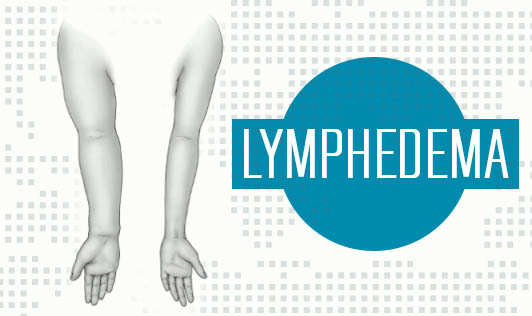 Lymphedema is caused by the elimination of or damage to your lymph nodes as a part of cancer treatment. The swelling ranges from mild to hardly any noticeable changes in the size of the arm or leg to extreme swelling that can make it impossible to use the affected limb. There is no cure for Lymphedema but it is possible to control the symptoms by using a combination of different techniques such as compression garments and massage. It's important to take care of your skin to avoid infection and maintain a healthy diet and lifestyle. If you notice any persistent swelling in your arm or leg, contact your doctor right away!